What would you do if you knew that by making regular use of strength training equipment you could help your heart, build muscle, lose fat and improve your overall health all the while slowing down the effects of ageing? Sounds incredible, right? 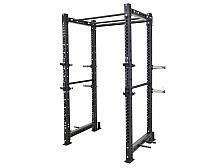 The truth of the matter is strength building equipment, when used correctly and regularly, offers all these benefits and more. 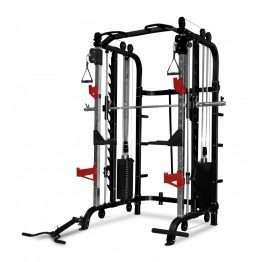 Fitness Equipment Warehouse is one of Australia’s leading suppliers of dynamic strength equipment that can help you get the very best out of your body. Our team is passionate about health but even more passionate about helping you reach your specific health and fitness goals. Contact us today to find out more about the extensive range of equipment we offer or pop into our showroom and try out our equipment for yourself. Also known as weight or resistance training, strength training refers to any exercise that is designed to improve muscular fitness by engaging in physical activity that requires the muscles to work against resistance. Resistance, in this case, can come from free-weights, strength training equipment, your body’s weight, weight training machines or resistance bands. By continuously challenging the body to shift greater loads, over time it will adapt, getting stronger to cope with the increasing demands. The materials used across our range have been carefully chosen by their manufacturers to ensure they look and feel sturdy for years to come, standing up to the test of sweat and corrosion. 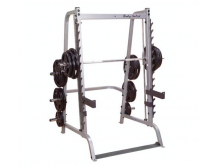 The selection of strength training equipment we offer is both durable and stable. Each machine was designed with both performance and long-term durability in mind. The cables and pulleys featured on the weight training machines are designed to cope with heavy loads and rigorous use for years to come. Not only is our range of equipment capable of catering to the needs of individuals of different heights, sizes, and experience but in many cases, they can also be easily adjusted too. Purchasing training equipment can be quite the capital investment which is why you want to make sure you’re happy with what you’re buying. A proven method of ensuring that you buy the right strength building equipment is that you go with a supplier that has a history of reliable service and quality provision. 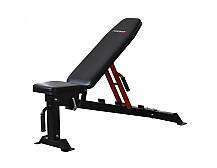 Fitness Equipment Warehouse is committed to providing premium quality fitness equipment at an affordable price. 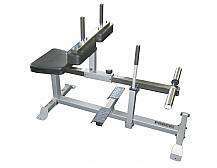 Contact us today or visit our large showroom to find fitness equipment that suits your specific needs.